#InTheStudioThisWeek, with the change of seasons, as spring is trying its hardest to arrive, so does the new Mercer menu! We love getting our new design briefs from Mercer. Apart from it being a beautiful brand, it’s always a treat to see what new culinary delights their chef comes up with – and as ever, they do not disappoint. This spring, the menu is bigger and even better, with an extremely tempting ‘From the Grill’ section and naughty looking desserts! 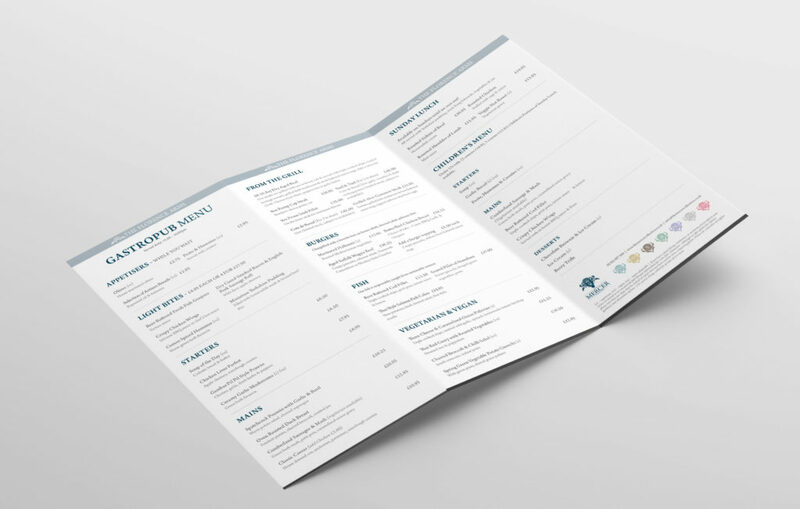 The new menu is available as of today, why not take a look at Mercer’s New Menu and see what tickles your fancy. The Mercer Collection is a group of boutique hotels, pub and fine dining resultant in charming Southsea, Portsmouth, which Glow branded in 2012. Mercer wanted a high-end, luxury brand that was easily adaptable, as and when they purchased a new hotel or business. With ornate shapes and a pastille colour palette inspired by their costal location, this brand is still one of our favourites! 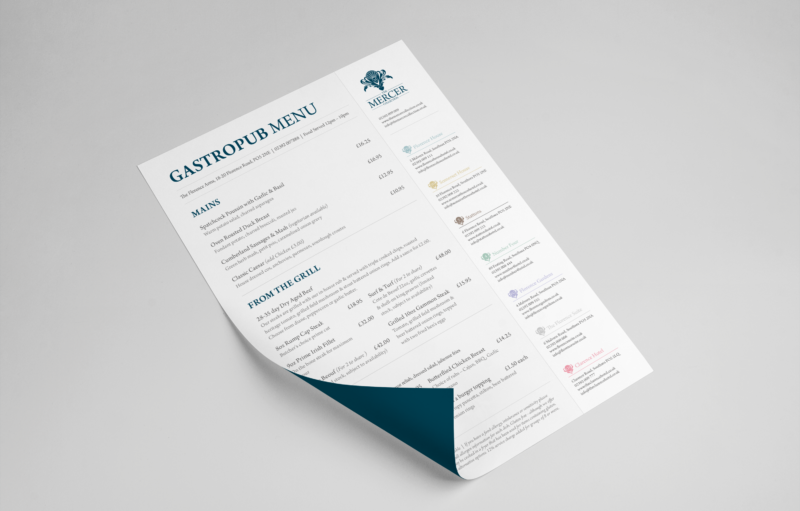 The new spring menu is available at their gastro pub, The Florence Arms, fine dining restaurant, The Kitchen and as room service. If you haven’t heard of them, or visited one of their restaurants, we strongly recommend – not just because we’re biased, they really are lovely!